I’ve been searching for the perfect everyday pen for quite some time. I’m still searching. I’m not big on specifications — at least not yet. Instead, I search for a delightful experience. Like apps, books and (now) cameras, I value a product that makes me smile inside. 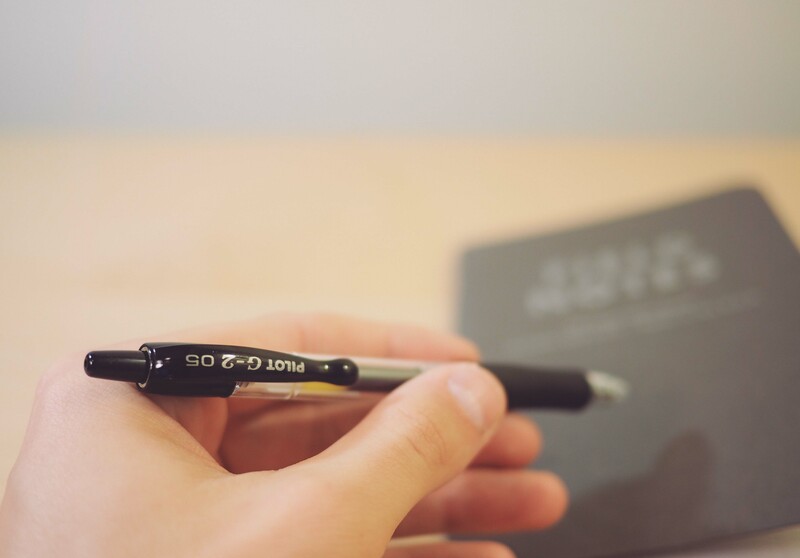 The Pilot G2 0.5mm Retractable Pen doesn’t make me smile. It gives me a smirk perhaps, but something is missing. It’s not the first pen I choose when heading out the door. Maybe I just don’t understand this pen. Actually, I just hate how the Pilot G2 looks. Call me vain, I don’t care. 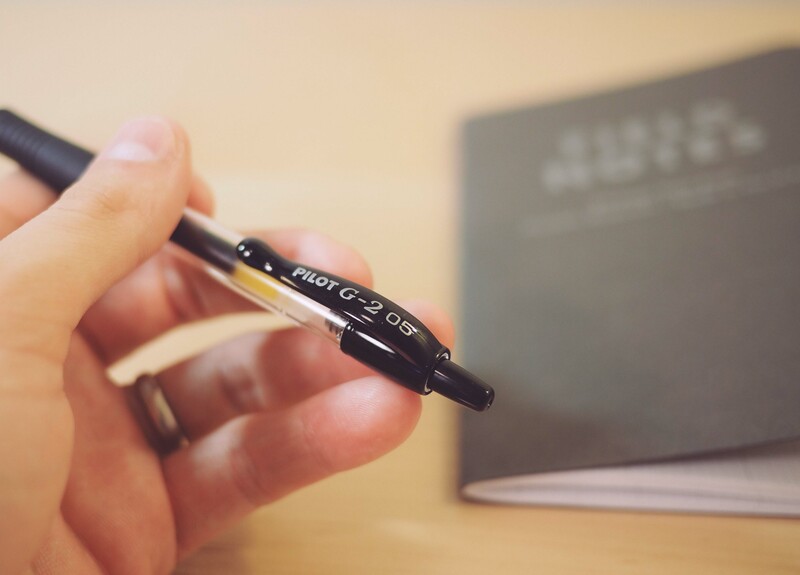 If you’re looking for a pen that shows people you care about the pen you use, the Pilot G2 won’t be your first choice. And it’s a gel pen. That doesn’t help its cause either. 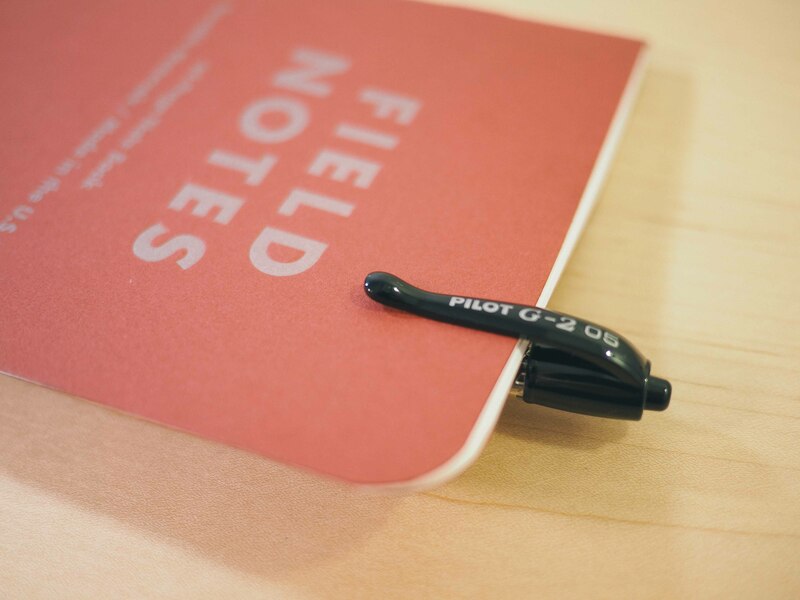 Pilot’s line of G2 pens and pencils is pretty extensive and is also one of the most popular pen lines on the market. I picked mine up at the university bookstore; I haven’t been able to find them elsewhere in my area despite their immense popularity. The pen has a wider barrel than most of the pens I have talked about in the past, closely equating the size of Uniball’s Jetstream offerings. The barrel is made of a transparent plastic which shows off the refill and springs inside. 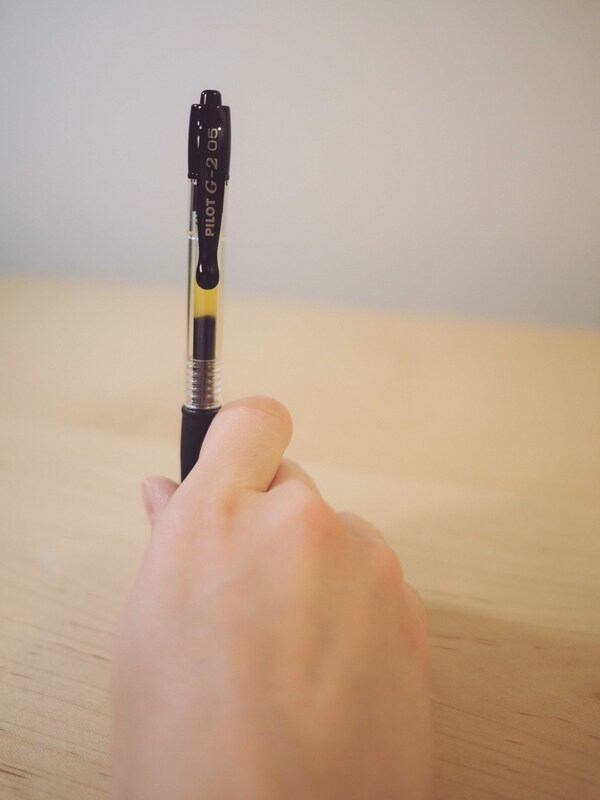 The clip and retractor are made of a breakable plastic like many other pens you can find at cheaper office supply stores. 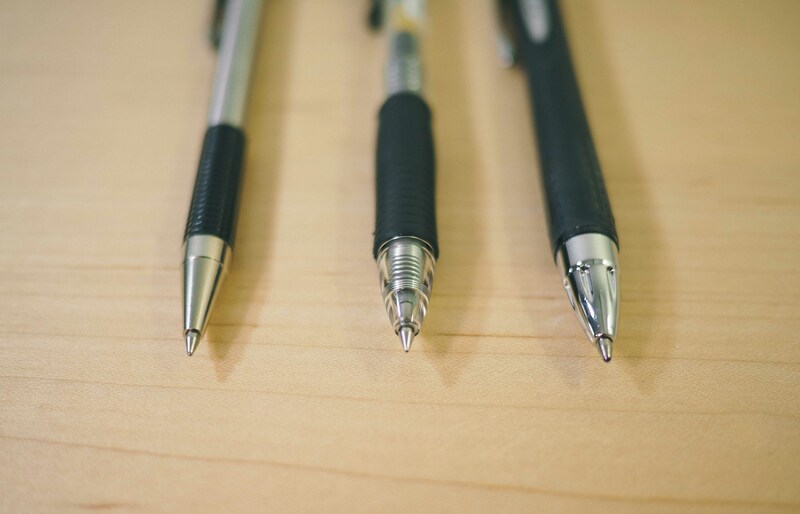 The clip curves in a silly manner and doesn’t aesthetically match the rest of the pen. To be frank, this is the worst design decision I’ve come across in my minimal time with pens. The G2 appears to be going for a transparent, utilitarian design aesthetic and the clip misses the mark. I’ve considered breaking the clip right off to clean up the G2’s appearance. The Pilot G2 incorporates a decent rubber grip, which automatically puts it a step ahead of my beloved Zebra F301 in the comfort department. The rubber is super light and adds next to no weight to the tip-end of the pen. 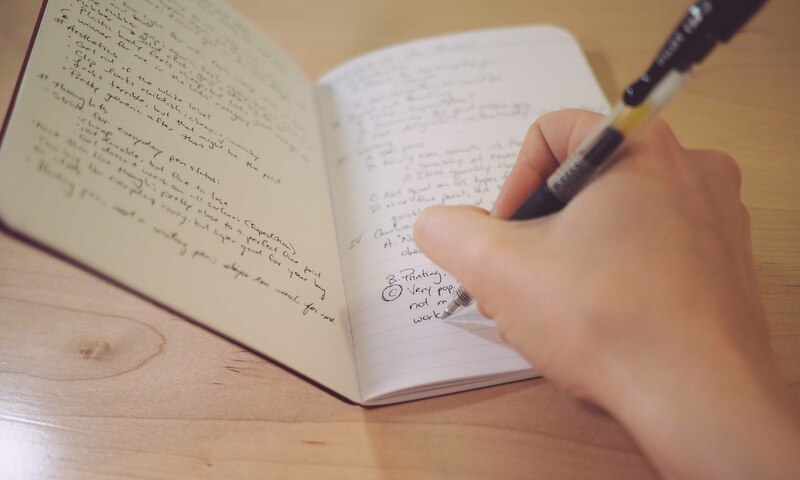 The lack of weight gives off a pretty accurate first impression though: a plastic barrel, lightweight rubber grip and plastic clip all combine to create a lightweight and cheap pen. Pilot seems to be going after the expendable pen market with the G2 and I wouldn’t hesitate for a second if I lost this pen in the office. The build quality and design of the G2 just don’t work for me. Despite my displeasure in the G2’s physical build and appearance, it’s writing experience is pleasant. 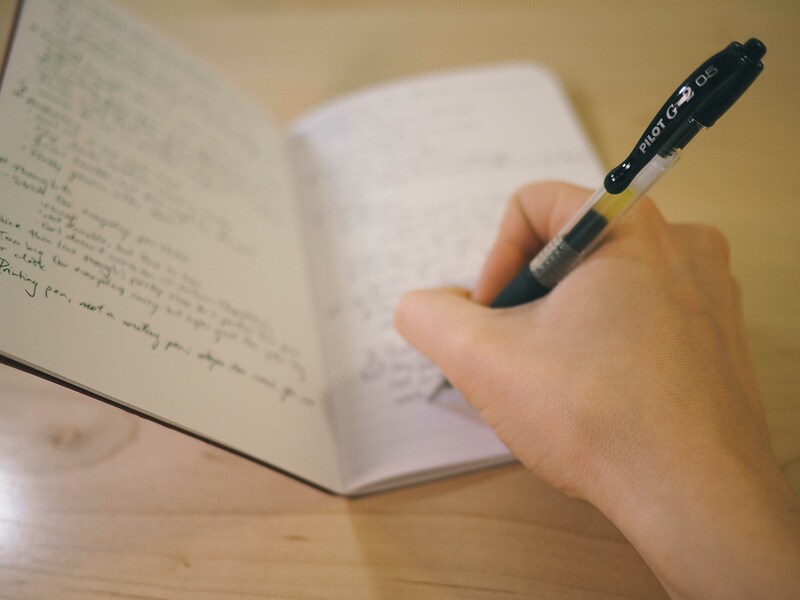 Although not perfect, the G2 has consistent ink flow and the pen is ready to write immediately upon meeting paper. I’ve never had to redo my first stroke to make up for a scratchy start; the G2 is ready when I am. I feel the Pilot G2 is meant more for printing than for cursive writing. I found the ink to be less consistent when the tip didn’t leave the page and I had to return to finish off some letters every now and then. 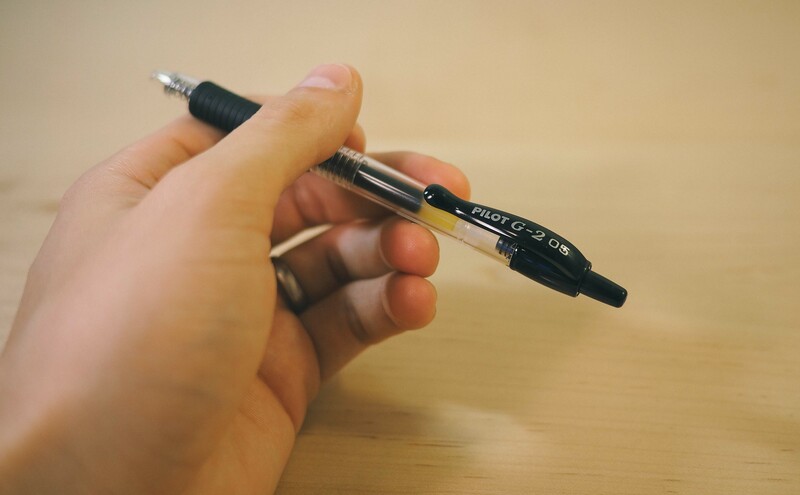 The Pilot G2 is a gel pen. I have always despised gel pens. So does my wife. I remember when my classmates began using gel pens in the 5th grade. 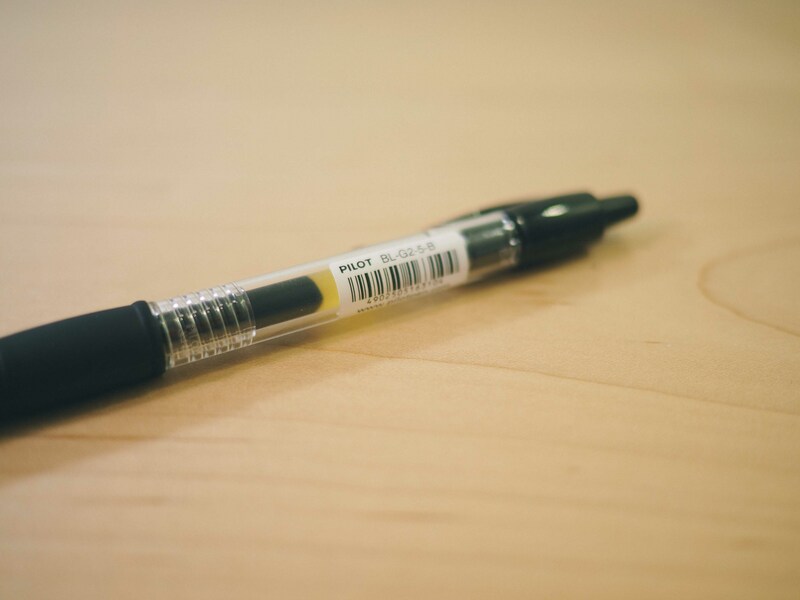 They would bring the pen to class and everyone would admire the unique gel pen. My classmates would love how the ink shone in the light and how easy the pens were to write with. 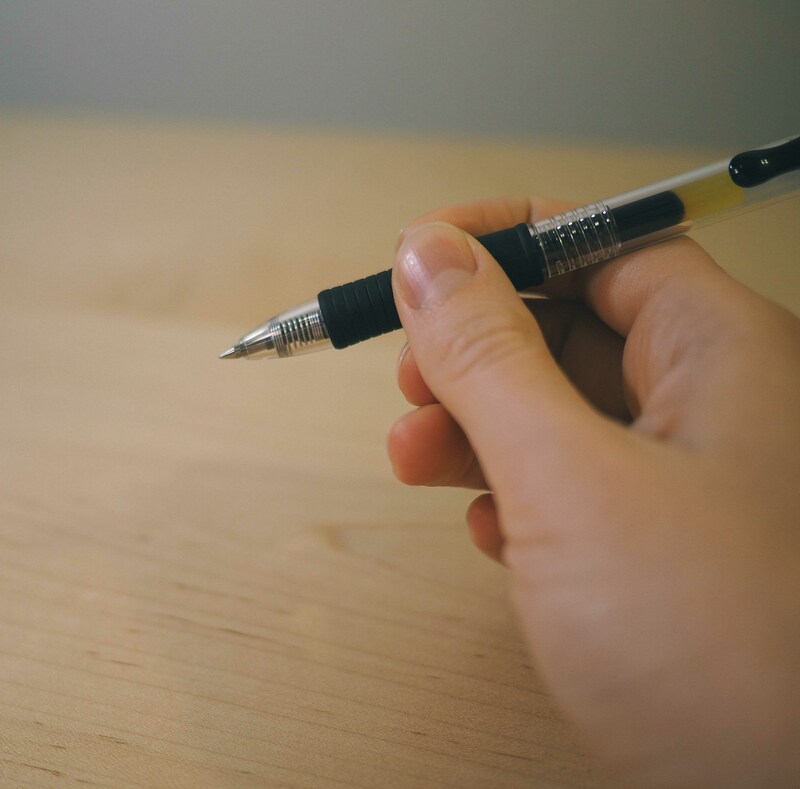 I would consistently be the last person to try out a gel pen, and by the time the pen went around the class and finished off with me, the pen had run dry. Gel pens are notorious for heavy ink flow and I’ve stayed away throughout my life. Evidently, the G2 comes into the battle with its back against the wall. And I was pleasantly surprised with the outcome. 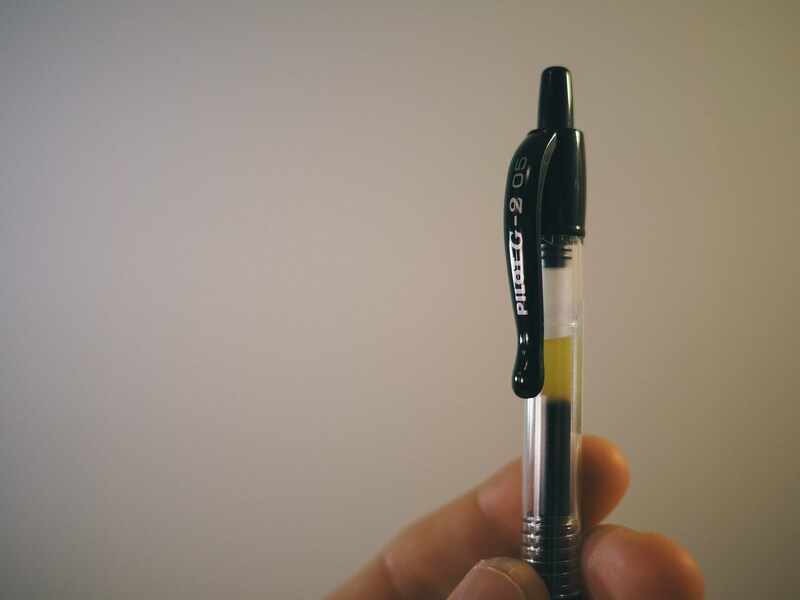 The fine tip eliminates the historically heavy ink flow and the incredibly large refill holds enough ink to last a long time. Pilot even brags about its gel pens lasting twice as long as the competition. Between the fine tip and the large refill, I believe them. 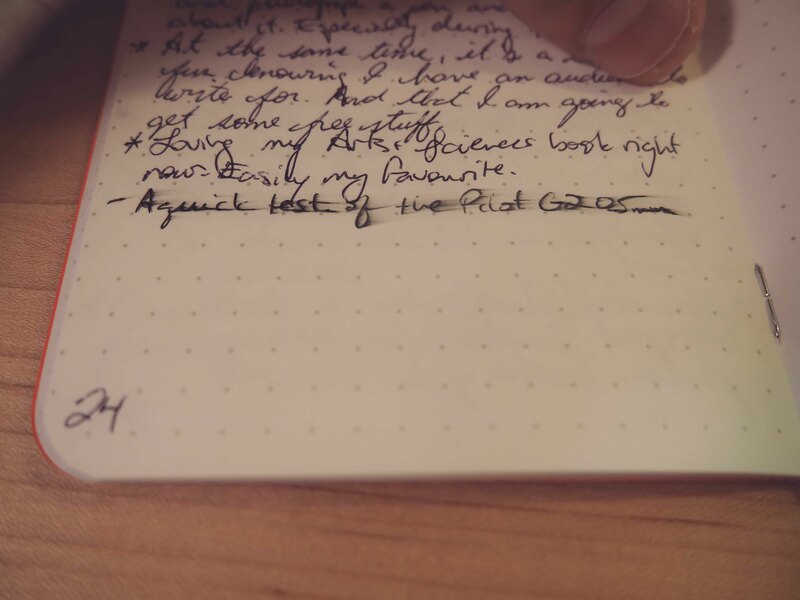 I disgruntingly find myself in the middle of an Expedition Field Notes book right now and I tested the Pilot’s gel ink on the waterproof Yupo paper. As expected, the gel ink doesn’t dry on the synthetic Yupo. The smudging you see in the picture was after two minutes of drying. You definitely want to stay away from the G2 if you’re married to your Expeditions. 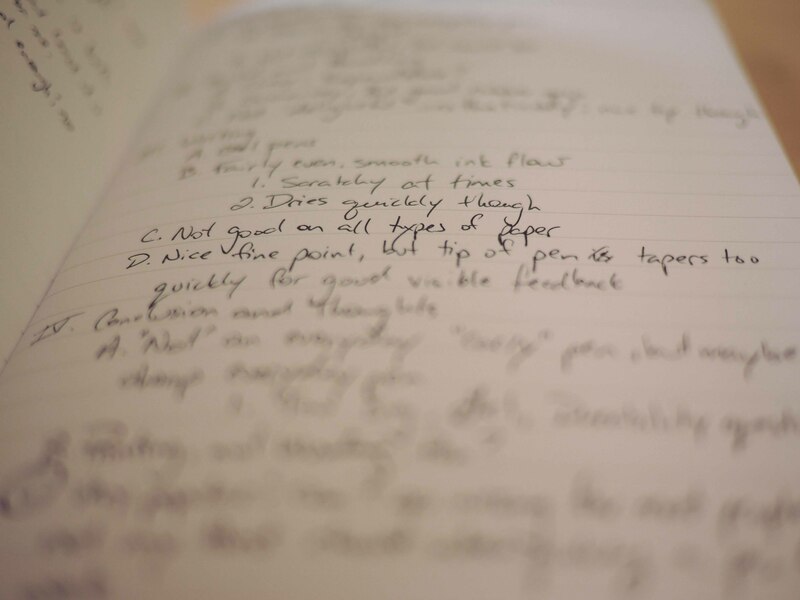 Lastly, one of the major impacts on the delightfulness of a pen is its visible writing feedback. 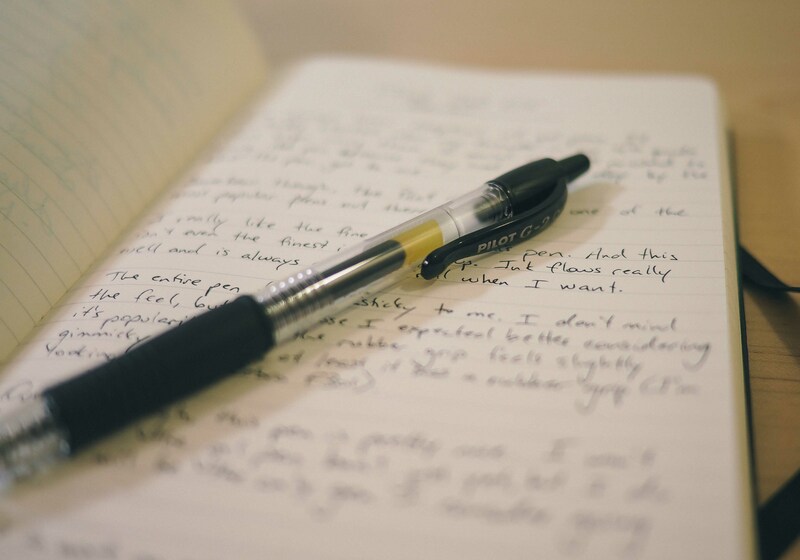 By that, I mean to say I like a pen that meets the paper with an element of style. I think this is why I love my Zebra so much. The G2 tapers too quickly to its fine tip. Overall, the G2’s fairly wide barrel and large grip make for a more comfortable writing experience. The size of the barrel quickly tapers down to an extremely fine point — too quickly if you ask me. Like the Jetstream, I find the G2’s quick taper to be an unelegant design for giving delightful visible feedback. I still haven’t found the perfect everyday carry pen. My Zebra F301 has a beautifully thin barrel, but is too big to throw in a pocket. My Fisher Space Pen is the perfect size for pocket carrying, but its writing experience is not much better than awful. And the G2 writes well (for a gel pen) but looks and feels too cheap and too big to be a winner. However, I might be in my own camp on this one. 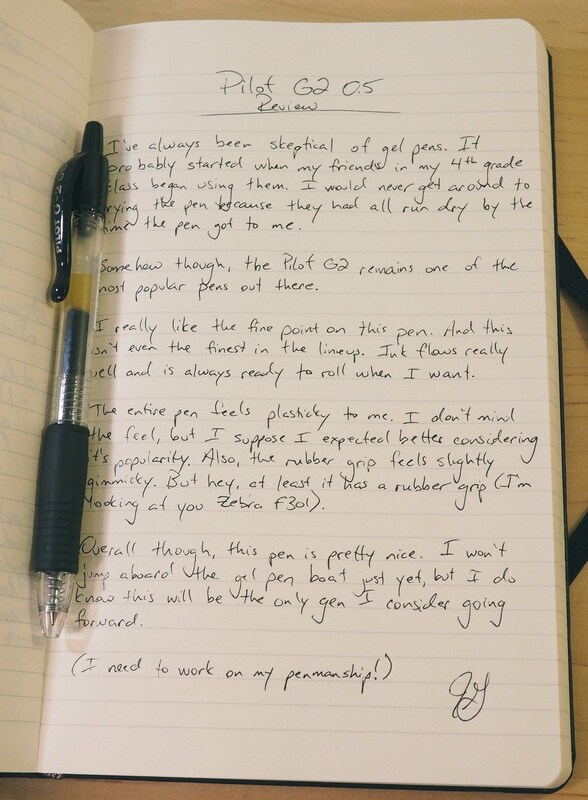 The Pilot G2 is a really popular pen. And rightly so. The gel ink flows quite nicely out of the fine tip and the (albeit gimmicky) rubber grip is superior in the comfort category. 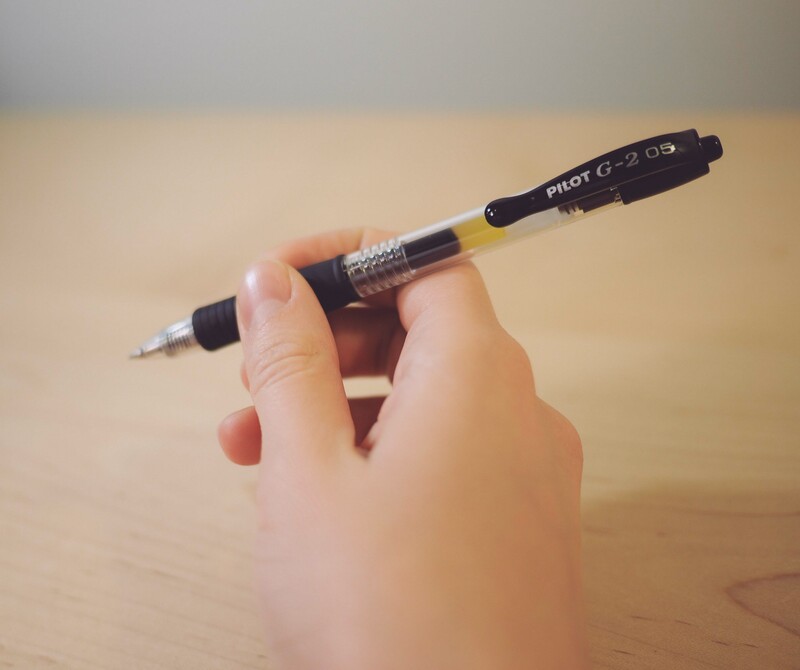 If you’re looking for a cheap and expendable retractable pen, the Pilot G2 is probably for you. You can pick one up here if you think it would work for you. If you’re like me and enjoy higher quality builds and a consistent aesthetic design, then ignore the link above. I don’t adore my G2 like most people seem to. Maybe I would if it wasn’t for that awful clip.